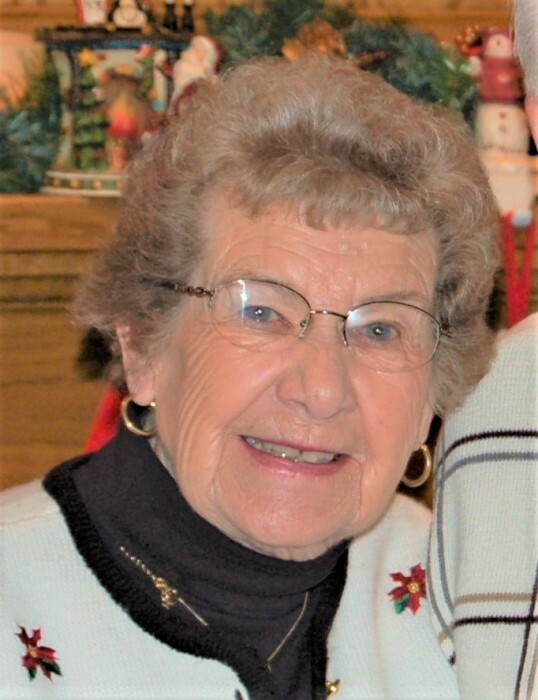 Margaret M. Gray, 89, a longtime Rochester,MN resident died on Thursday (November 15, 2018) following a brief illness, in the Skilled Nursing Unit at Madonna Senior Communities in Rochester. Margaret Mary Clausen was born in Glencoe MN to Mathias and Mary(Weis) Clausen. She grew up on the family farm in rural Glencoe, attended school there, graduating from Glencoe H.S. in 1947. She attended nursing school at St Mary’s Hospital in Rochester where she met her loving husband Charles Gray. They were married in 1951 at St Peter and Paul Catholic Church in Glencoe. Following their marriage the couple lived in Rochester where they raised their family and have continued to make their home. Margaret was a homemaker and Chuck was a longtime employee in the business office at Mayo Clinic. She was a woman of strong faith and instilled in her family the need to give back to the community through volunteering and helping all people in need. She loved volunteering at St.John’s and Lourdes High School. She was passionate about cooking and baking and her door was always open for friends to stop by for a meal or grab a cookie from her famous cookie jar. She loved playing cards, especially cribbage with her grand kids and friends. She loved golf, fishing and spending weekends at their lake place on Lake Pepin. Margaret’s greatest joy in life was her family and all of her dear friends. She leaves behind her husband of 67 years - Charles Frances Gray; 2 daughters and 2 sons -Barb (Mike) Meyer of Surprise,AZ; Pat (Janet) Gray of Shoreview,MN; Kate (Neal) O’Mara of Chaska,MN and Dan (Lisa) Gray of Mendota Heights,MN; 12 grandchildren and 10 great-grandchildren. She was preceded in death by her infant daughter Elizabeth Gray and her parents.